TESTHEAD: #Agilistry or #PNSQC: Come Hear Me Speak! This is a little self serving, but hey, I did the work for the papers and presentations to develop the topic, I want to have people hear it. That's not too much to ask, is it :)? 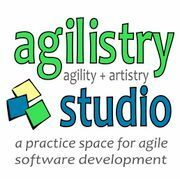 Next Thursday, September 27th, 2012, I will be giving a talk at Agilistry Studio in Pleasanton, CA on "Getting the Balance Right". This is an extension and follow-up/reboot of the talk I gave at CAST 2012 in San Jose. This talk is being sponsored by the Agilistry Meet-Up Group, and there's still a spot available, so if you would like to attend, go and do your Meetup magic and come by :). Some may be saying "that's great, but I won't be in the Bay Area on the 27th". Well, for those of you who will be attending PNSQC in Portland, Oregon October 8-10, 2012, you'll get a chance to hear me deliver this talk there, too, albeit in a modified format. I am confirmed to be one of the presenters during the Poster Paper presentations, so I'll be delivering an "evevator pitch" of these ideas plus examples based on questions and feedback. Consider the Agilistry talk the full presentation, and the PNSQC talk a more tailored and dynamic presentation that I'll be delivering several times. There's also a chance that I may be able to deliver the full talk at PNSQC; we'll see how the final schedule shakes out. Also, I will be participating in PNSQC's "Birds of a Feather" talk series on Monday afternoon about testing challenges and specifically how Miagi-do uses them to help develop and mentor testers, and how you can use the same techniques when creating test mentoring for your team (formally) or to improve and develop your own craft along with a few friends. Hope to see you there, whichever "there" happens to work for you! MKL - I am really looking forward to hearing you present at PNSQC, and hanging with you and other way-smart people. Likewise, Pete :). I'm assisting for your workshop, so I'll get to see that one close up. Just a few more weeks!